A stunning emerald cut diamond features here in the ever so popular halo style, enhancing the facets which shine with perfect scintillation. A modern split band features a perfect pair of tapered baguette cut diamonds to further enhance the look. 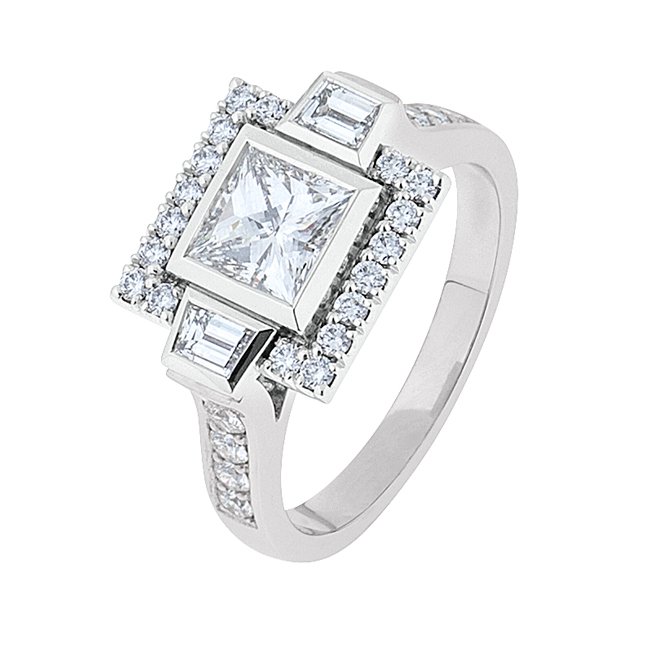 A modern style ring with essence of the art deco era. 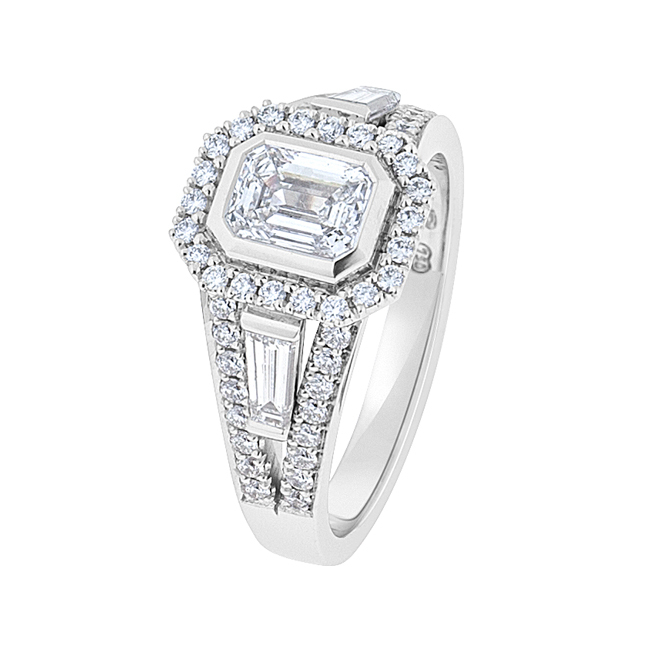 This impressive ring will be sure to outshine the rest. Available on special order, contact us today for more info. Dimensions: total width at top 10.6mm, band tapers from 6.8mm to 2.5mm at the base of ring.